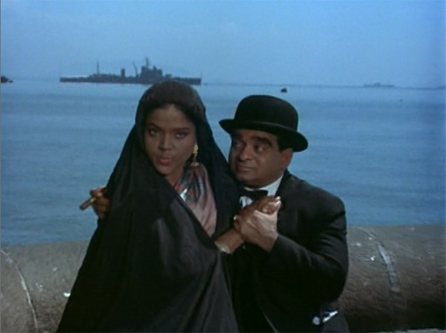 In which film do character actors Rashid Khan and Indira Bansal appear in a song as husband and wife (in an uncredited guest appearance)? Bonus points for the song name and singer, and the actor picturized as the singer. Help Memsaab identify the other couples in that same song! Posted on August 3, 2008 at 6:01 pm in Hindi movies, Trivia time	| RSS feed You can skip to the end and leave a reply. 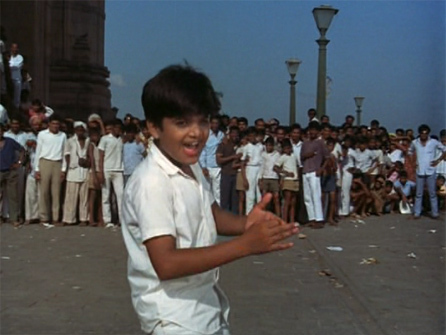 Do Raaste, ‘Apni-apni biwi pe sabko ghuroor hai’ – filmed on Junior Mehmood. I think…? Hmm, the husband of the dark wife could be Mukri. He definitely looks small enough to be him! Just a guess , but is the one with a turban Jonny Walker? Yes, he’s definitely Johnny Walker, I recognized him right away, but I don’t have a clue who his “wife” is. She doesn’t even look familiar…. 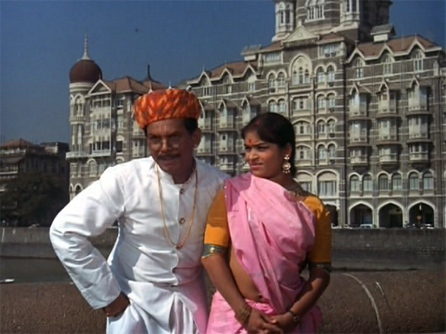 the short wife with Johny walker is none other than SAROJ KHAN..look again!!! Awesome! 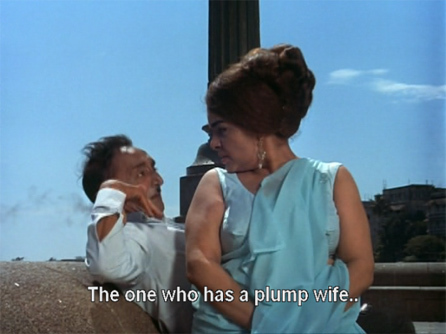 Thanks :) I don’t think I ever knew what Saroj Khan looks like! first couple is Rashid and Indira bansal sister comedian Polson. I want the right answer for trivia no 29.